NICE THREADS. Above: Blue Boxer Arts/Tangled Up in Hue owners Erin Klaus and Jamie Kyser. 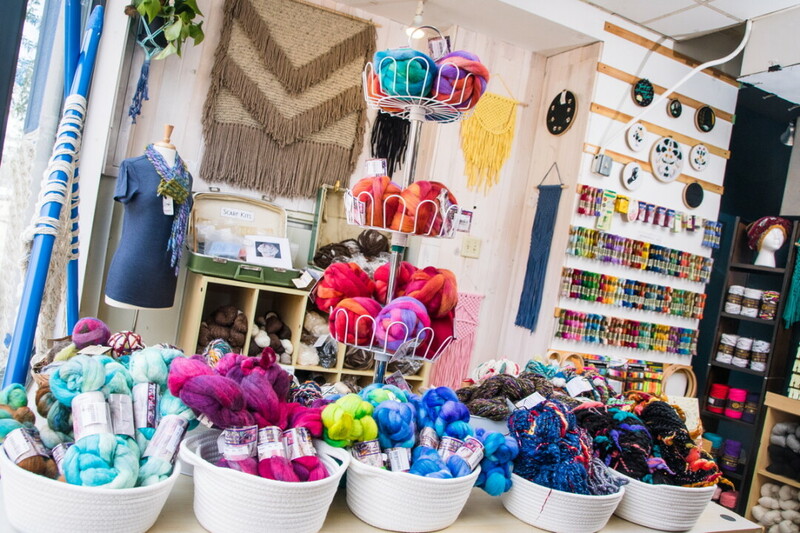 Blue Boxer Arts features locally created fibers and beads, as well as classes and crafty meetups. 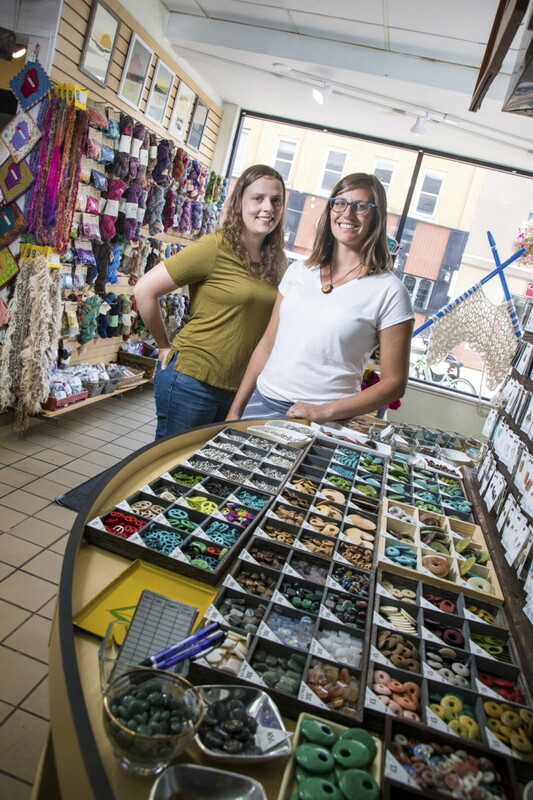 Blue Boxer Arts, a new store from the owners of Tangled Up in Hue in downtown Eau Claire, features locally created fibers and beads, classes to learn new skills, and a space to gather to work on projects in the company of others. Owners Jamie Kyser and Erin Klaus as well as staffer Kelsey Wenberg are very excited about the new store, which is in Tangled Up in Hue’s former location, 416 S. Barstow St. (Tangled is now in a larger space at 505 S. Barstow St.) The new store will host a grand opening Aug. 4 including live artisan demonstrations and a community weaving project. Kelsey Wenberg, a local artist working on a Master Knitter certification, has joined the team at Blue Boxer Arts, and will bring her talents and expertise to the shop, offering demonstrations, classes, and an opportunity to gather to work on projects with other artists. “We’ll start off with How to Knit/ Crochet classes and some simple projects that go over the basics,” she said. “As I progress in my classes, the classes I offer at Blue Boxer Arts will also include more intermediate and advanced knitting workshops.” Wenberg specializes in macramé arts, so expect lots of knot-tying demonstrations, but she says the store will also bring in teachers to demonstrate embroidery, weaving, jewelry making, yarn spinning, and other handcrafts. Beginning in August, a class list will send to the store’s mailing list and posted on Facebook. In addition, she said, a free Knit Club will meet 6-8pm every Wednesday. 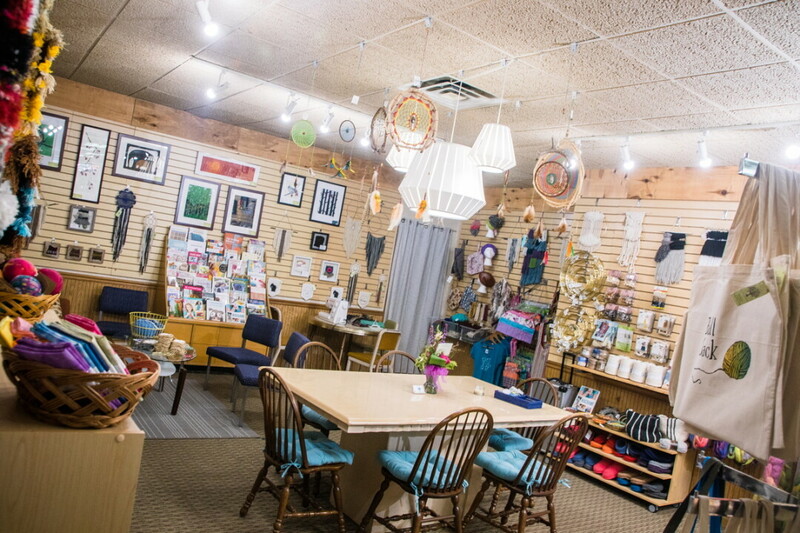 Wenberg believes Blue Boxer Arts will offer an opportunity for folks to gather to create together, and that the store can offer local and unique supplies not available at the big chain stores. “It’s so exciting to have a space downtown to do this stuff because folks, especially women, getting together to craft is a lost art,” she said. “In this world we are so surrounded by technology and consumer products, it is a truly magical experience to make something beautiful with your own two hands. It really teaches you patience and the value of something that isn’t made in a factory. Blue Boxer Arts, 416 S. Barstow St., Eau Claire, will hold a grand opening from noon-6pm Friday, Aug. 4. Learn more at facebook.com/blueboxerarts.